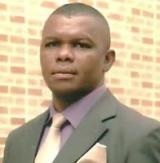 Dr. Ikenna Emmanuel Onwuegbuna is a lecturer at the Department of Music, University of Nigeria, Nsukka. He holds a Ph.D. in Music Pedagogy, Master of Arts in Ethnomusicology, Bachelor of Arts in Music, Diploma in Music Education, and National Diploma in Mass Communication. He is a many-sided creative artiste (poet, actor, broadcaster, compere, motivational speaker), and a very gifted professional and academic musician with a special bias for studies in popular music and performance, music and multimedia, music and philosophy, and ethnomusicology. In the band, Dr. Onwuegbuna is a confident lead-singer, back-up vocalist, bass guitarist, rhythm guitarist, and percussionist. In the music studio, he is a producer, composer-arranger, artiste-and-repertoire manager, and audio engineer. In music business, he is a concept and sleeve designer, distribution and marketing consultant, and critic. Dr. Onwuegbuna has published three chapters in edited books, over seventeen articles in local and international journals of credible repute, and some twenty-two specialized creative works. He has featured in some local and international conferences where he presented over twenty-five well-received papers and workshops. Dr. Onwuegbuna is the Editor of the Online International Journal of Arts and Humanities and also a member of the Editorial Board of two other reputable academic journals of international coverage. Trends in African Popular Music is his second book, published in the USA in 2015; the first, The Instructional Value of African Popular Music, was published in Germany in 2012.